This project addresses the potential roles that the social sciences and humanities (SSH) can play with regard to the phenomenon of technological convergence (between Nano-, Bio-, Information technologies, Cognitive sciences and Social sciences and Humanities), its shaping and ethical and societal implications. In an integrated and systemic approach the project explores the major ethical and societal questions raised by technological development in the field of converging technologies (CT) and the ways in which these can be addressed by the Social Sciences and Humanities. In the context of imminent transformations to a European knowledge-based society, these questions present key opportunities and challenges which the research community needs to be prepared to face. This research project will build on a review and monitoring of technological developments in the CTs and relevant global RTD policy trends, at the same time analysing their possible implications for contributions by the SSH. The project will further analyse how and to what extent the SSH can contribute to the shaping of science and technology. 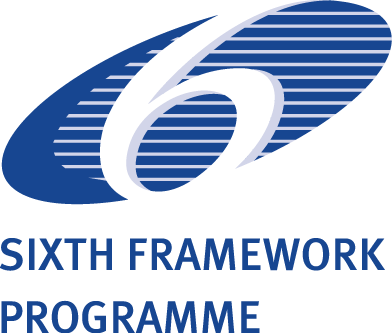 The final aim is to raise awareness of Converging Technology issues throughout the SSH community and to develop options for a research agenda to be implemented in the SSH priority of the 7th Framework Program. The emergence of the knowledge-based society will entail new forms of relationships between its citizens on the one hand, and between its citizens and institutions on the other hand. The project aims to mobilise European research capacities in SSH that are necessary to develop an understanding of and to address issues related to this critical phenomenon. Rader, Michael, “CONverging TECnologies and their impact on the Social sciences and humanities (CONTECS)”, Technikfolgenabschätzung – Theorie und Praxis, Vol. 15, No. 1, 2006, pp. 139. Coenen, Christopher, “Converging Technologies – Promises and Challenges”, Technikfolgenabschätzung – Theorie und Praxis, Vol. 15, No. 1, 2006, pp. 110-114. Quendt, Christiane, Torsten Fleischer, and Michael Rader, “Converging Technologies als Gegenstand internationaler forschungspolitischer Debatten – Beoachtungen, Analysen, Probleme”, Paper presented at: Technology Assessment in World Society: NTA2 – Second conference of the “TA Network”, Berlin, 2006. Beckert, Bernd, Clemens Blümel, and Michael Friedewald, “Visions and Realities in Converging Technologies: Exploring the technology base for convergence”, Innovation: The European Journal of Social Science Research, Vol. 20, No. 4, 2007, pp. 375-394. Coenen, Christopher, “Utopian Aspects of the Debate on Converging Technologies”, in Gerhard Banse, Imre Hronszky, and G. Nelson (eds. ), Converging Technologies. Promises and Challenges, Sigma, Berlin, 2007. Coenen, Christopher, “Konvergierende Technologien und Wissenschaften. Der Stand der Debatte und politischen Aktivitäten zu »Converging Technologies«”, Hintergrundpapier 16, Büro für Technikfolgen-Abschätzung beim Deutschen Bundestag, Berlin, 2008. Fleischer, Torsten, Christiane Quendt, and Michael Rader, “Converging Technologies und die Sozial- und Geisteswissenschaften: Ergebnisse und Erfahrungen aus einem EU-Projekt”, Technikfolgenabschätzung – Theorie und Praxis, Vol. 17, No. 2, 2008, pp. 74-77. Beckert, Bernd, Clemens Blümel, and Michael Friedewald, “Kje danes prihaja do tehnološke konvergence? Identifikacija področij interdisciplinarnih zahtev in vplivov na znastveni in technološki razvoj”, Casopis za kritiko znanosti, domišljijo in antropologijo (Journal for the Criticism of Science, Imagination and New Anthropology), Vol. 37, No. 237, 2009, pp. 43-55. Andler, Daniel, and Vincent Pargade, “Converging technologies and their impact on the social sciences and humanities (CONTECS). Cognitive science within Convergence: A first attempt at delineating the field in Europe”, Deliverable D1.1 – Part B, Fraunhofer ISI, Karlsruhe, 2006. Woolgar, Steve, “Converging technologies and their impact on the social sciences and humanities (CONTECS). Visions and Discourse in Converging Technologies: a background report”, Deliverable D1.2, University Oxford, Said Business School, Oxford, 2006. Rader, Michael, Christopher Coenen, Torsten Fleischer, Beate-Josefine Luber, and Christiane Quendt, “Converging technologies and their impact on the social sciences and humanities (CONTECS): Current trends in RTD policy on Converging Technologies “, Deliverable D1.3, Research Center Karlsruhe, Karlsruhe, 2006. Andler, Daniel, and Simon Barthelmé, “Converging technologies and their impact on the social sciences and humanities (CONTECS). Cognitive science within Convergence: Key issues in the European Context”, Deliverable D3.1 – Part B, Institut de l’École normale supérieure, Paris, 2007. Beckert, Bernd, Clemens Blümel, Michael Friedewald, and Axel Thielmann, “Converging technologies and their impact on the social sciences and humanities (CONTECS): R&D Trends in Converging Technologies “, Deliverable D3.1 – Part A, Fraunhofer ISI, Karlsruhe, 2007. Woolgar, Steve, Christopher Coenen, and Elena Simakova, “Converging technologies and their impact on the social sciences and humanities (CONTECS). The Ontological Politics of Convergence”, Deliverable D3.2, University Oxford, Said Business School, Oxford, 2007. Rader, Michael, Christopher Coenen, Torsten Fleischer, Beate-Josefine Luber, and Christiane Quendt, “Converging technologies and their impact on the social sciences and humanities (CONTECS): Current trends in RTD policy on Converging Technologies “, Deliverable D3.3, Research Center Karlsruhe, Karlsruhe, 2007. Andler, Daniel, Simon Barthelmé, Bernd Beckert, Clemens Blümel, Christopher Coenen, Torsten Fleischer, Michael Friedewald, Christiane Quendt, Michael Rader, Elena Simakova, and Steve Woolgar, “Converging technologies and their impact on the social sciences and humanities (CONTECS): An Analysis of critical issues and a suggestion for a future research agenda”, Final Report 2008.